It is with great sadness that the family of Lloyd W. Francis announces his passing after a long illness, on Sunday, October 7, 2018 at the age of 83 years old, at Orchard Park Medical Center. Lloyd will be fondly remembered by his brothers Willie Francis, Jr. and Clarence Francis. He will also be remembered by his many nephews and nieces, and other relatives, and many friends and adopted relatives. 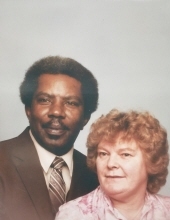 Preceding Lloyd in death was his wife June M. Francis, his son Alexander J. Francis, his father Willie Francis Sr. and his mother Cecellia M. Francis. Funeral Service, in memory of Lloyd, will be held on October 11, 2018 at 11:00 A.M., at Fir Lane Memorial Park, 924 East 176th St., Spanaway, WA, 98387. To send flowers or a remembrance gift to the family of Lloyd W. Francis, please visit our Tribute Store. "Email Address" would like to share the life celebration of Lloyd W. Francis. Click on the "link" to go to share a favorite memory or leave a condolence message for the family.